Is it a curse or is it something else? I won't go into that debate for now. But to have two players go off during the game with injuries is too much to accept. The same thing happened at Sheffield Wednesday remember? The most important game is the next game they say. But not on this occasion for sure. Because now Wenger's team selection for next Tuesday will probably determine Arsenal's fate for the rest of the Premier League season. If the best available 11 are selected for Tuesday then Wenger will be taking a hell of a chance. He will be risking further injury and fatigue for his players. His main aim should be to rest key players and keep them fresh for the next League game. And first on the list of non starters should be Flamini. If he does play and gets injured then Wenger might as well resign for he will have made a major error in risking the only fit and available defensive midfielder left in the club. In the same vein the 'returning players' such as The Ox and Ramsey should also be left out altogether so as to give them another week of recovery. Sanchez really needs a rest and since we don't have any other fit forward then Giroud should also be protected but he will probably have to start. 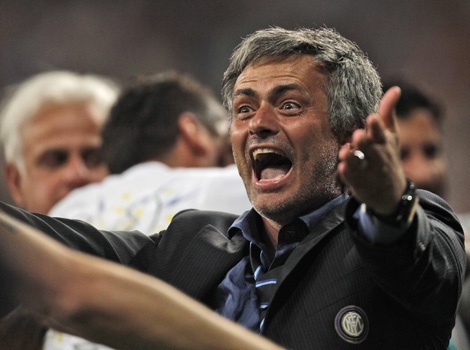 What I am really saying is lets sacrifice the Champions League. All the Arsenal news in the media, including the sites specialising on fitness issues and likely return dates, have been giving us optimistic predictions of the likely return of the injured players. But it seems that the probability of any one starting the match against West Brom has to be low. Lets look at the most likely to return. The Ox has been posting videos of himself training saying that he is 80% to 90% close to full fitness. Well I am sorry to break the news to you but when a player says that he is close to fitness it really means that he is aiming to be at full fitness. It does not mean that he will get to full fitness. In fact so desperate will the Ox be to get back, so as to get that run of games in the team now that others may not be around, that he is letting optimism get the better of him. And even if he does achieve fitness Arsene Wenger will be reluctant to start him anyway in case there is a relapse considering his bad injury record. The best that can happen is that he is likely to start on the bench. There has been no news at all coming out of Ramsey's 'camp'. Isn't this strange? One week away from the next game and no one is saying that Ramsey will be back. In fact it seems to me that Wenger will be announcing soon that Ramsey will take another week or two before he is ready. That much has been revealed for Walcott already who is rumoured to be back at the beginning of December. And as for Bellerin, for whom no news has come out yet, does Wenger risk him for next Saturday? The point I am making is that Arsenal's injury record has deteriorated so much in recent weeks Wenger will be very reluctant to rush players back and risk jeopardising Arsenal's chances of putting a winning run during the Xmas period and indeed having these crucial players available and fit for the second crucial half of the season. If he is going to rest players then it might as well be during the next few games as the opposition is 'relatively' not as strong. Additionally their replacements (Campbell and Debuchy) after some dodgy performances are starting to settle in and Gibbs looked capable on the left wing against Spurs. The returns of Arteta and Flamini have also boosted the options available in midfield. It seems to me that Wenger will take the conservative view and give these players another week to cement their fitness levels. There is talk of Sanchez being rested by Arsene Wenger as he might be close to burn out. This is because he hardly had a rest after the Copa America, which Chile won. He was then thrown in at the deep end for the first game of the season against West Ham (coming on as substitute). Sanchez is again back to his homeland for two crucial World Cup qualifiers beginning against Colombia. Reports from their training camp in Chile indicate that although Sanchez's high energy approach has not deserted him, perhaps his recent tiredness has pushed him to seek a long enough recovery period between training sessions. "Alexis I see an incredible moment. I see him so excited. 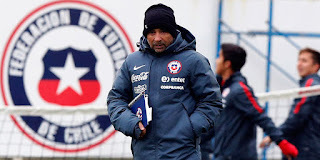 If you move your energy to the game, Chile is very close to winning, "Sampaoli told a news conference. However when the training was over Alexis retired to his room and locked himself in so as to not allow any distractions! The other players like Vidal and Vargas stayed behind signed autographs and generally lounged around watching the rest of the players, mostly subs, go through their training exercises. The good thing is that Alexis appears to have realised that he needs to allow his body to recover. In this way he gives himself the best chance to come back without injury and a body rested enough so that performances leading to the Xmas period are not affected. What a shambles it was last night. No fight, no midfield creativity and two muscle injuries to two important first team players. The probable absence of the Ox and Walcott from the Swansea game and at Bayern threaten to actually derail the gigantic momentum that has been building up in this month. Walcott's (and the Ox's) pace would have been pivotal in the counter attacking tactics that would have been employed away at Bayern. And along with the injury to Ramsey it is again muscle injuries that threaten to destroy all the good work done on the pitch. Firstly Ramsey was again overworked with Wenger admitting that he should have rested him against Watford. Of course what happens? He gets a bad hamstring during the game against Bayern. Do you remember a similar confession by Wenger after Ramsey sustained a muscle injury away at West Ham a season or so ago? The medical staff warned Wenger that he was in the grey zone but he just went ahead and selected him! Secondly the Ox last night obviously did not warm up properly before the game. Just how else can a player sustain a muscle injury in the first three minutes of a game? And even more damning again, obviously Walcott did not warm up AT ALL before replacing the Ox! We saw it on the screens on the TV. Why didn't Wenger and the medical staff tell him to get warmed up and never mind if we play with 10 men for a few minutes more? It was shambles I tell you. A shambles. In my experience any muscle injury even the softest ones will need 10 to 14 days just to make sure. So what options are now in front of Wenger for Saturday? There are five alternatives none of which are ideal of course but I have included some that are not so obvious. 1. Play Gibbs as a left sided midfielder and move Sanchez on the right. Not ideal I know as it would also involve moving Sanchez away from the area which he uses to move in and crank his venomous shots. Still Gibbs has shown that he is fit and more importantly battle worthy. 2. Play Debuchy right back and move Bellerin on the right side of midfield. The same idea as above but I would favour this less as Debuchy has miserably failed to obtain the high standards he had reached before his injuries. Last night he looked like a rooky too. Bellerin of course would be a good enough right sided midfielder with his pace and nous which is a pity as I would have liked to have seen him in that position. I consider Chambers too slow to start as a right back. Remember what a horrible time he had last season away at Swansea? This option could find favour with Wenger as Campbell is more street wise with the capability to stretch defenders and also be aware of his defensive duties. This he has shown on the few occasions he has started. The negative is that both him and Sanchez like to play on the left but Wenger may decide that beggars can't be choosers. 4. Play Flamini on the right side! Well it may sound crazy but Flamini could provide a balance on the right. What I mean is that he will be efficient with the ball (i.e not give it away), he is experienced enough to make the right pass and track back and tack in when we are defending. He did score two goals against Spurs. 5 And finally move Cazorla on the right and play Flamini with Coquelin in central midfield. This would mean that Cazorla will move away from the area he has been so terrific this season and could impair our creativity from this deep lying midfield position. He could of course do a Ramsey and come in from the right to take part in the built up but he will have to, as Ramsey did, track back and cover his full back. He has of course played this position before he was converted into a central midfielder. This option maintains an overall balance in the team and may be favoured by Wenger. The Greek press are reporting today that Arsene Wenger was very impressed with Fortunis during the clash with Olympiakos at The Emirates and has been in contact with Olympiakos with finalising a deal for the January transfer window. The offer is believed to be around 15m euros. Ironically Fortunis is the player that took that corner with Ospina dropping the ball into his own net! However Tottenham are also interested having watched the player last week in Greece. Their scout Peter Quick was there to watch him. There were worries about Sanchez's groin strain just before Chile's game against Brazil. 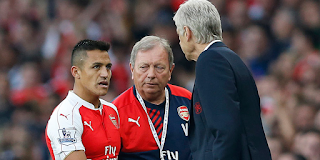 Important worries that even the Chile boss was considering resting Alexis. "Alexis arrived not at his top of form, with pain in the adductor. He couldn't play at 100% but we thought that for us him not playing was to give too much advantage to our rivals because his presence in our team makes things difficult for our opponents." So he played the full 90 minutes and scored in the 2 0 victory. Now Chile play Peru on Tuesday and the question is whether Sanchez will be rested. I doubt it as he has taken part in the training session today and if he does not get worse then the Chile coach will use him. What worries us gooners however is the likely negative aftereffects on Sanchez's groin of having to play two full competitive games in the space of five days. We have to also take also into consideration that Alexis will travel back to London on a long haul transatlantic flight. Arsenal play away to Watford next Saturday evening and then Bayern Munich next Tuesday at The Emirates. Although yesterday Alexis did not train with the Chile national team the news is that he has returned to training just before the crucial match against Brazil, according to La Tercera newspaper. It seems that yesterday's absence was merely precautionary taking into account that the player withdrew from Arsenal's match late on with a groin problem and that he travelled for many hours in a transatlantic flight. His absence yesterday had worried the Chile coach that his groin could get worse but this event does not appear to have materialised. He is worried more about Vidal whose presence tomorrow is in doubt. I wonder however if the news for Sanchez is really good. If he does play against Brazil there is the possibility that his groin may be aggravated. More news coming out of Chile with regard to Alexis Sanchez' s groin strain. 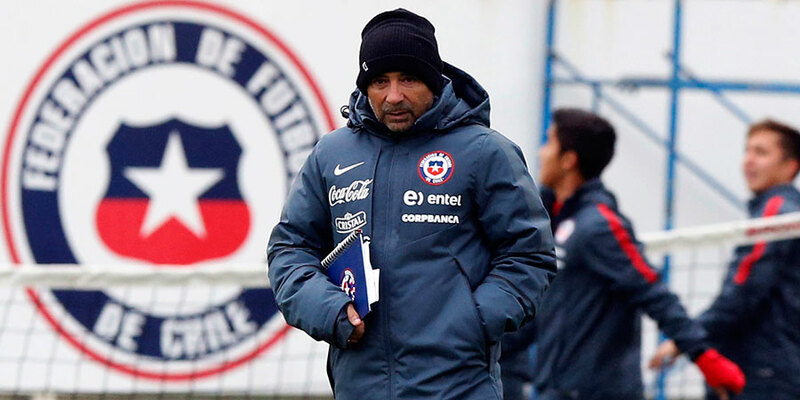 La Tercera are reporting that the Chile coach, Sampaoli, considers both Vidal's and Sanchez's chances of starting against Brazil tomorrow are low. '.....concerned about the situation of Arturo Vidal and Alexis Sanchez, who come to experience discomfort in recent weeks playing for their clubs, "For neither can we say that is confirmed for the match against Brazil." Their participation, at least in the first match is in doubt." Let us hope that Arsene Wenger's initial diagnosis of only a 'slight' groin strain is proved wrong. The Chilean newspaper 'Latercera' has reported today that Alexis Sanchez has not taken part in the national team's first training session ahead of a vital qualifier against Brazil. This may be as a precaution against the groin problem that forced him to ask to be substituted at the 80th minute in the game against Manchester United. It seems however that the extend of the strain may be more serious than what Arsene Wenger and his medical people initially thought (as is usually the case)! This is why, as it is reported, Arsenal have asked to be in constant contact with the Chile medical team so that they are regularly informed about the extent of the injury and if need be request that he is withdrawn from the squad. Let's hope that his absence from the training session today is only precautionary. So this is why Arsene rejected Schneiderlin? There are of course mitigating circumstances for that defeat in Zagreb. Firstly, the number of changes Wenger made were to keep those players happy having been out of first team action for so long. He may have promised them that (especialy to Ospina). He was also resting key players for the Chelsea game. As a result there was no homogeneity in the team and the players played as though they hardly knew each other. Secondly the full backs were not really match fit. Debuchy allowed the scorer too much space (and the Ox failed to track back). And Gibbs was too tired to jump for that corner!! Thirdly Giroud and the ref were too stupid. It meant that the chance to get back in the game was gone. And lastly Arteta was non existent! How did Wenger think that he could be Coquelin's cover, in case he is absent at any point in time, is beyond me. We simply had no defensive cover throughout the game. It reminded me when Arteta was first choice a couple of seasons ago and our midfield was like a sink riddled with holes where the water met no resistance going through. It became so obvious that when Coquelin came on we suddenly started pressing hard in midfield, winning the ball and setting on the attacks again. And all this WITH TEN MEN. In fact we were better with 10 than 11! Is this the reason Wenger rejected Schneiderlin? To keep Arteta as a cover for Coquelin?!!!! There are three important reasons why Arsenal are real challengers for the title. Firstly Manchester City cannot improve further. They have reached their peak too fast and too early. The only direction is downwards as they cannot keep up winning performances game after game. They have also finished with their transfer business so cannot improve the squad any further. Secondly Arsenal are slowly but surely improving with every game and the room for improvement is very evident. Let's be more specific. The team has improved their defensive performance with Cech reaching his best form and the back four, with Gabriel now installed at the heart of it, having only let in 3 goals in 5 games with none conceded in 3 of those. This is a very important statistic that should not be overlooked. It means that instead of loosing a game we will be drawing it and instead of drawing a game we will be winning it. Similarly in attack we have been creating chance after chance after chance and when the finishing begins to improve then we will be racking 3s and 4s per game. That's why there is a lot of room for improvement because when our forwards find the form of last season then all of Arsenal's areas on the pitch will be as efficient as you can get. And of course Arsenal have the cash and are willing to spend it, if needed, on a player who will be able to improve the team, like Ozil and Sanchez for example. The third reason is that a major title contender, Chelsea, seem to be out of it already, leaving room for Man Utd and Arsenal to contest the title between themselves and City. I consider Man Utd as capable to challenge if and only if Rooney finds form which is doubtful at the moment as he seems to be getting past it. They can of course rectify that in the next window but it may be too late for them by then. Stoke are Arsenal's next opponents at the Emirates. They got a thorough thrashing last season and in fact they have not beaten us in London for a very very long time. On the other hand Arsenal have not scored in their two games at the Emirates this season. Well in fact we did score and would have won comfortably against Liverpool had it not been wrongly ruled for offside. 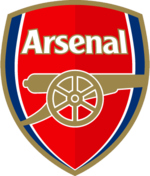 I expect that on this occasion Arsenal's play will fall into place perfectly and we will give them another thrashing. I expect a high scoring game of as high as three goals for and none conceded. Arsene Wenger has said that there are no new injury concerns and that Koscienly and the BFG are now fit. So the only real decisions to be made are at centre back and centre forward. Mertesacker is now back in training but I expect that this game has come too early for him not allowing enough time to regain top fitness levels after illness. Wenger is very likely to continue giving Gabriel more games after he really impressed in his last two outings. In fact in my opinion Gabriel should now be the first choice centre back. The second decision to be made is who to play up front. Walcott was given his chance against Newcastle but fluffed his lines failing to hold the ball as a centre forward should do and also to score when he had the whole goal at his mercy. Which brings me to Giroud. He has also failed to impress this season but I think Arsene Wenger may make the decision to play Giroud in the home games simply because teams visiting the Emirates tend to play defensively without coming out too much. This will tend to squeeze the space not allowing Walcott to use his best attribute which is his speed. He will be better utilised in the away games when the home teams are likely to come out more. Giroud on the other hand will offer you the option of being a real threat when crosses come in and also can use his physical strength to better use inside the opponents box. Alex Song back at Arsenal? It has been reported that West Ham failed to reach an agreement with Alex Song over a permanent move. He is now back at Barca as he is still their player until he finds a new club to either go on loan or on a permanent basis. Surely this is the time for Arsenal to step in and reach an agreement with Barca to bring him back to Arsenal. This is a a real opportunity to provide a second option in this vital position in the central defensive midfield area with a player who has proved he has what it takes to perform at the highest level. Hot hot news. Media report Benzema deal signed and sealed!!! Its happening. All the roumours are true! Talksport are reporting that the Benzema deal has been done. More news to follow. It seems that this Benzema transfer saga will just not go away. And judging by the way Arsenal carry on their business, in absolute secrecy, I tend to give more credence to these kind of rumours which come out of people who are in the trade, as it were. Do you believe Rodney Marsh? @RodneyMarsh10 did you say Benzema to Arsenal was a done deal? Did I hear that right? Rodney Marsh is a guy that calls it as he sees it. And I do not think he is the type to tweet false or fabricated information. Yet my analysis in my previous post still stands in my mind. Reports are coming out of 'Metro' that the Benzema transfer is back on again. Reportedly Arsenal have now put in a bid of 46m and Real president, Perez, has finally sanctioned the move. This can be tied in with what is being reported today in the press that Wenger has indeed been very active in the transfer market by reportedly bidding for both or either of Thomas Muller and Robert Lewandowski from Bayern Munich! Can you imagine the impact and resonance such a transfer (of Benzema) will have on the Premier League, the Arsenal supporters but above all the Arsenal players who will now truly believe with substantially enhanced confidence that the title challenge is a very doable venture. However I do not really believe such talk because it does not stand to logic. Firstly Real will be left with only Ronaldo as a central striker who however will have no real cover in case of any forced absence from the team. Secondly Benitez will have an array of options to choose from in the front positions choosing any combination of Bale, Ronaldo, Benzema and James Rodriguez. He is not likely to forgo such riches. Lastly even if Real want to sell they have to get in a new world class striker. So who will that be? The only two that can match their requirements are Ibrahimovic and Aguero. So let's all cheer for Ibra to Real (because Aguero is highly unlikely to be released by City). It is well known that Arsenal have sent their trusted scouts to assess the Polish international playing for Seville against Barcelona in their recent UEFA Super Cup final in Georgia. He is first and foremost a very competent defensive midfielder who could provide equal competition and cover for Coquelin. But for those who watched the game would have noticed that he played for 80 minutes as a centre back due to the unavailability of the first choice for that position. Arsene apparently would value this dual role that the 25 year old could play just as Sagna or indeed Song used to provide. Same old Arsenal you might say. Having won so well against Chelsea in the Community Shield every one jumped on the band wagon and tipped us to win the League. The problem was that the players started believing them too and unfortunately allowed it to go over their heads. This was the one of three major reasons that contributed to loosing the game against West Ham. All players started the game with an approach that they were winners just by turning up for the game! They forgot that to win any game in the PL you have to work and toil hard, very hard. Almost all the starting 11 were below par barring Koscienly and the Ox (who again though made the mistake of trying to take the ball out of the area rather than passing it away which resulted in their killer second goal). Giroud was almost non existent. What's the matter with him? Is he affected by the talk of Benzema coming to Arsenal? Wenger has not managed that situation well enough IMO. Ozil was made ineffective by a 16 year old! WAKE UP DOZEY OZIL. Switching Cazorla and Ramsey does not work. You are making two mistakes in one move there. First Cazorla is playing out of position. In central midfield he has excelled all through last season and by playing him on the left wing weakened the team's offensive approach. And secondly Ramsey was not ready to take up the mantle in a competitive game (which the Community Shield is not) in central midfield. The team also lacked creativeness in the offensive areas of the pitch. This was partly addressed by introducing Alexis but he was not yet fully match fit and it showed. The second reason for the defeat was bad goalkeeping. Cech was palpable for both goals especially the second one. He was too slow to react to the shot which was from outside the area and not hit with any ferocity. However on both occasions the central defenders let him down. For the first the marking was nowhere and the goal scorer had a free run in for his header. The second, bot the BFG and Koscienly just stood there and did not even go through the motions of closing down the scorer and the shot. The third reason for the defeat was the strange change of tactics by Wenger, I assume. Why did, on every occasion that Arsenal went forward in the first half, they elected to swing in crosses for Giroud?! On almost every occasion. Surely playing against a team like West Ham who thrive on long balls do you elect to forego your passing superiority and go for the crosses? STRANGE. A very bad day at the office all round. And one which the manager must take blame as it is his job to keep the players feet on the ground and focus them for the game in hand. Maybe this defeat is a blessing in disguise. It's a kick up the arse. It will shake the players up and management alike from believing their own hype to get down to hard business working on the nitty gritty both on and off the pitch. If they do this they have a good chance against a strong Crystal Palace away. Remember when we lost the first game of two seasons ago against Aston Villa at home? Remember the splendid second part of last season? We haven't suddenly lost our competitiveness. So if it's in the head that can be rectified. It has been rectified in the past and will be so again. Believe me. It could have been a walk in the park. We scored 2 goals in the first half and were dominating the game. Yet the Arsenal players acted as though the game was already finished at half time thinking that the Newcastle players changed their boots for flip flops in the dressing room. We were slow, sleepy and unready to combat the tenacity with which the opponents turned up for the second part. Our marking was not as tight and the cover for players began to be overlooked. Once they scored it was game on. Something we could have done without taking into consideration that the players were tired from the CL game at Monaco. Credit to the players though who fought hard and kept the result. Credit to Arsene Wenger for putting Bellerin on to help the underachieving Chambers (he is not a right back), Rosicky to help keep the ball more and Flamini to bolster the midfield (he should have kept Sanchez on though and taken Welbeck off). I am surprised at the negative way the British press is reporting Arsenal's failure to progress in the CL. They make it sound as though we were rubbish over the two legs, that we are an also run team and that we are not serious contenders for major honours. - Arsenal have won 20 of their last 25 games! Inclusive of this win at Monaco who have not let a goal in in their last 14 home games. - All these know it all journalists seem to forget that their PL champions elect, Chelsea, were knocked out of the CL at home, in the same round as Arsenal, by a team playing with 10 men since the 31st minute while they were 2 1 up! Yet no one of this fine journalists dared to SERIOUSLY challenge the mental attitude of the Chelsea players, their apparent naivety at seeing the game through and come to that their ability to see this PL campaign through. - Were it not for a run of a large number of injuries at the beginning of the season, a World Cup hangover and Wenger's stubborn refusal to buy defensive reinforcements during the summer, Arsenal would be above Chelsea at the moment in the PL. - And finally one must consider that Arsenal have only last season managed to bring the stadium debt to comfortable levels. This means that Wenger's astute management during the 9 lean years can now end and he can reinforce the team with high quality players. As he has been doing. But this cannot be done in time zero. You need time to build a title winning team just as Chelsea and Man City did. Wenger is in his first season of a three year project (contract). Believe me he will deliver. Yes we did get the goal albeit against the run of play. But we never kicked on. We carried playing defensive football but without having the men up front to go on the counter attack and thus relieve and give a breather to the rest of the team. This was a mistake by Wenger in his selection for the starting 11 by leaving Walcott and Rosicky out. Both had the legs and the nous to help the rest of the team to manage the game. Walcott would have been the perfect outlet for running at speed with the ball but more importantly Rosicky, as he amply proved when he belatedly came on, would have been ideal to keep the ball and play the simple pass to a colleague. Something that Cazorla and Ramsey failed miserably! Not once did they make a simple pass. Not once did they hold onto the ball long enough. Not once did they come out winners in the 50 50 balls. As a result we lost the midfield battle and kept giving the ball away like imbecile novices. As a result we were outrun and outfought. As a result we eventually caved in. How much pressure can you take after all? We were under pressure against Man City but at least we kept the ball and utilised Alexis for the counter attacks. Today we had nothing. Nothing. And I blame Mr Wenger. For not starting the brilliant Rosicky. And for not substituting Cazorla and Ramsey much much earlier. Noe we have a battle on our hands to finish 4th and we have given a leg up the Spuds. In my previous post I spelled out the 5 ways we can replace Debuchy. All of them were rearrangements of players positions from within the squad. None of them are satisfactory for me. We all know what Wenger will do. He will probably play Bellerin who I consider inexperienced and very green yet to perform in that position with the effectiveness and stature that is required. But surely by far the best option is to recall Jenkinson from his loan to West Ham. SURELY! Wenger recalled Coquelin from his loan to Charlton with great success as we have seen. Why not do the same with Jenkinson. He has already played more than 10 games as a first choice for big Sam and has performed with distinction. There is some information that there is no recall clause in the loan agreement but what the hell, Arsenal are big enough to pay the necessary monetary penalty (as usually is stipulated in such agreements in the case one of the parties wanting out). The alternative is for Wenger to buy that Central Defender he has been promising so long and hope that he will also be able to play RB!!!!! But I ask you will AW buy a defender? And if he actually buys one (which I doubt) will he buy him now or at the end of the window? By which time it may be too late. And if he has not played in the PL before will he acclimatise almost immediately? So you see logic dictates that Carl Jenkinson should start at RB against Man City. It's a pity that Debuchy dislocated his shoulder. Arnautovic should have been booked. It was an excellent performance all round with Alexis Man of the Match of course. And I have to make a special mention of Coquelin who had another impressive game. He is going to stay in the starting11 for a long time IMO, as I predicted right after his first appearence this season, much to the mock of some of the readers of this blog! Still I am concerned about Man City away. We have to replace Debuchy and Wenger has some options available. 1. Play Chambers, I hope not! 2. Play Bellerin. Very likely as Wenger has opted for this option when he had to. I think this would be a risky decision as Man City have the players to put on Bellerin's side to really take advantage of his inexperience. 3. Play Monreal at right back and Gibbs at left. This could work. 4. Play Flamini. He has played at full back before but I am concerned about his lack of pace. 5. Here is the last but more interesting option. Play Koscienly at right back and either Chambers or Monreal at centre back. This would break the pairing of Kos and the BFG and I think this could prove risky. Wenger described Inter's original offer for taking Podolski on loan as not serious, a joke. Well he was probably right because as I can reveal their offer which came from their Sporting Director, Piero Ausilio, was to take Podolski without any compensation whatsoever for Arsenal. It is only when they came back with money that the deal was allowed to go through by Wenger giving the green light (yes he controls the money side of the transfers too). Arsenal will get 600.000 euros ( about 470.000 pounds) up front with the loan agreement. There will be another 400.000 euros ( 313.000 pounds) if Inter qualify for the Champions League. In the event that Inter qualify for the Europa League then this drops to 250.000 euros (196.000 pounds). Podolski himself will get a salary of 1.8m euros up to the end of June which converts to about 60.000 pounds per week. So Arsenal will only have to pay the rest of Podolski's contractual salary to make up the 75.000 pounds per week. From having a player who hardly played and obliged to pay him up to the end of June 1.8m pounds we now have received 470.000 pounds and additionally saved wages of 1.44m pounds. A total of nearly 2.0 m pounds plus additional moneys if Inter qualify for a European competition. There is no clause in the loan agreement with regard to Inter having a first option to buy in the summer nor has a fee been agreed. The fan ran with his arms outstretched in front Arsene Wenger as he sat in the dugout late on in the game at St Mary's. Footage showed the man being bundled away down the tunnel by two stewards as Wenger and Bould held their arms out in apparent frustration at the intruder. There is confusion as to whether he is an Arsenal or a Saints fan. It has been revealed that he is from Lymington, Hampshire and was being questioned last night by Hampshire Constabulary officers. However staff at Saints were subsequently told that the fan was an Arsenal supporter, although Wenger was initially under the impression it was a home supporter. Police said a 25-year-old man was arrested on suspicion of ''going into an area adjacent to the playing area contrary to the Football (Offences) Act 1991''.